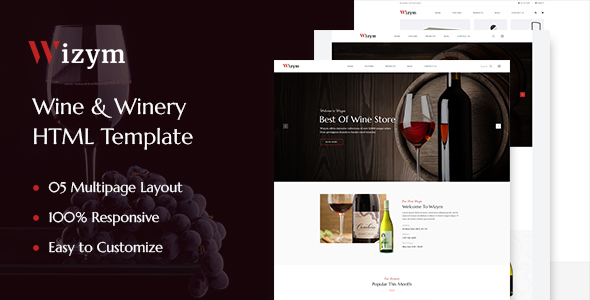 Wizym is a refined and fully responsive HTML template. It is a great solution for winery sites, online liquor stores or wine restaurants. Wizym is compatible with all major web browsers and works nicely on smartphones, tablets, PCs and desktops. The template offers a lot of awesome features.